It’s fashionable these days to complain about technology eroding social interaction, and to print pictures of young people staring at screens when they “should” be talking to one another. But in fact technology can be of real benefit to the social lives of autistic people. For many people with autism, communication can be a challenge. They may be non-verbal, or simply find social interaction difficult and exhausting. Computers can help. They are logical and non-judgemental, and emailing offers a way of conversing with much easier “rules” than speaking face to face. Computers can also be used to role-play social situations in a safe space, and games programs can help build relationships and encourage co-operation. But website designers can also help. Autistic people often have sensory issues, so making sure your website is clear, uncluttered and consistent with regard to navigation will help avoid confusion and overload. Moving elements can be distracting, so it’s best to avoid them or at the very least, make sure the user can freeze them. This won’t just be of benefit to autistic people: I’ve never been diagnosed as autistic but I recently gave up on trying to read the content on a website that had an ad showing people running through the background. I found it incredibly frustrating trying to concentrate on the content—and ultimately, decided it wasn’t worth the bother. A very little forethought can have very real benefits for consumers, whether they’re neurodiverse or neurotypical. Giveaway: I’m offering a free e-copy of my upcoming Plumber’s Mate Mystery #5, Lock Nut, to a randomly chosen commenter on this post. 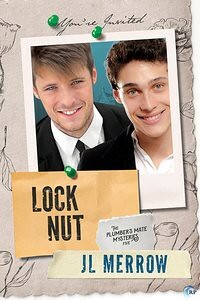 (If you’ve already pre-ordered Lock Nut, I’ll be happy to substitute winner’s choice from my backlist). I’ll send the winner their copy on release date, 14th May. You are so right. Computers can help tremendously for autistic people, and for other with sensory difficulties for that matter. I don’t like those websites with moving bars or something either. They are so distracting. My autistic son loves his computer. He can communicate so much better as he can take his time to think about what he wants to say. Thanks for commenting, and I’m glad to hear your son benefits from his computer. My autistic grandson uses his computer in exactly the way you describe and some of the games are fantastic. I share your dislike of moving adverts – the ones on TV are fine but when they move while you’re trying to read text they are a nightmare! I end up ignoring both the ad and the text. Exactly. Keep the moving ads for the TV, or YouTube. They’re just not appropriate – and horrendously distracting – when you’re trying to read static text. I’d imagine that your advice would be useful not only for the autistic population, but also those who are suffering from ADD, ADHD, and other conditions. I remember years ago certain cartoons and music videos were altered because they could induce epilepsy in certain people…it all seems annoying at best and dangerous at worst. *nods* People need to be aware of the effect their websites etc may have on those who are differently wired from themselves. I know this is a group effort and I realize that the puzzle piece has become (through Autism Speaks) the de facto symbol for the Autism Spectrum, but to quote my 13-year-old daughter, who has high-functioning ASD, “autism is not a puzzle to be solved.” Her brain is wired differently than others but that doesn’t mean it’s broken apart. 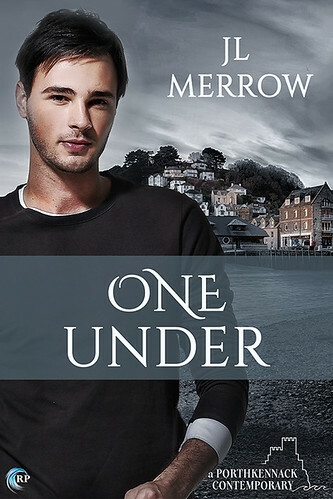 I adore this series, have reread it bunches of times, and can not wait for this book to come out! I must confess I was ignorant of the origins of the jigsaw puzzle piece symbol. I totally understand your and your daughter’s concerns, and I’ll pass them on to RJ, who is the organiser of this hop (and the mother of an autistic son). I’m sorry for any distress caused by using this logo. Hi, this is RJ Scott, the originator of the blog hop. I was concerned when you brought this up, as I have had my issues with Autism Speaks in the past. I have actually always linked the puzzle piece to being a human mystery, not so much an autism connection. I don’t see my son as a puzzle to be *solved* I see him as a young man who needs to be understood for who he is in his own right. The concept of the word solved when applied to a jigsaw puzzle means that the puzzle is done, finished, that there is a solution. The solution we should all strive for as humans is understanding, education and tolerance for anything that is outside of our comfort zone. That, it seems to me is a puzzle that will never be solved. Please feel free to contact me direct, at rj@rjscott.co.uk if you would like to chat about this in any way. Thanks for the very informative post. I also prefer web pages with clean lines and little or no moving text. Too late for the giveaway but I wanted to stop in anyway to thank you for taking part in the hop! Congrats! You should have an email from me already – please get in touch if it’s got lost in the ether!